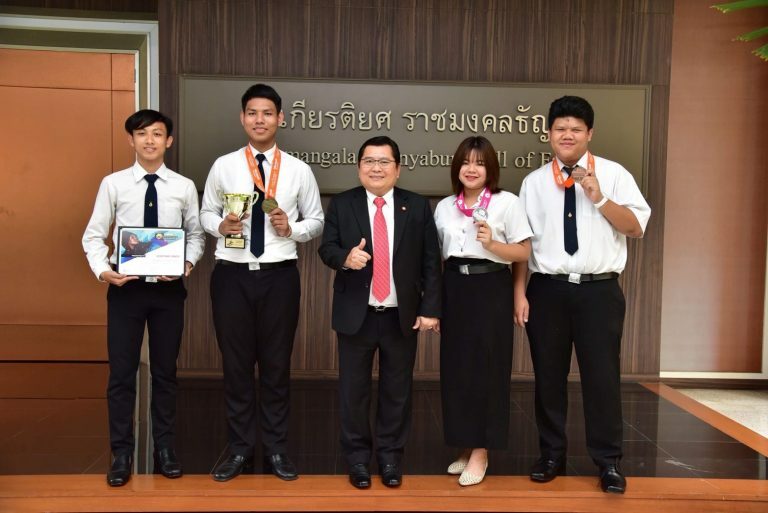 Students from RMUTT have been competed in Microsoft PowerPoint 2013’s competition and impressively won the world championship awards. The president of the university has been very delighted for the awards taken by his students. He also mentioned that our university has been continuously focused on the advanced skills development of information technology and digital literacy. We will keep carry forward our high standard of teaching on our students to make sure they have the advanced information technology and digital literacy skills before their graduated. Moreover, we will support more on our students to have a chance to compete in world competitions. Assoc. Prof. Doctor. 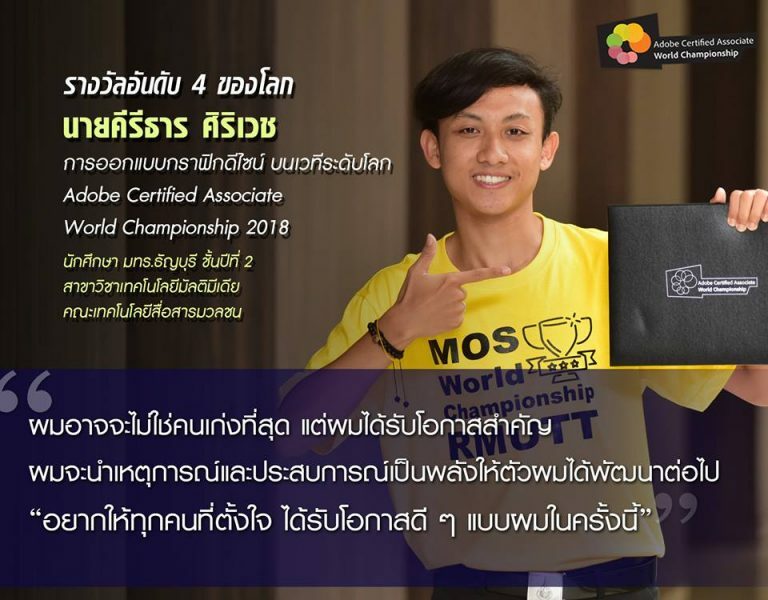 Prasert Pinprathomrat, the president of the university, revealed that our university has been supported our students to compete in “The Microsoft Office Specialist World Championship 2018” and “Adobe Certified Associate World Championship 2018” which was organized by CERTIPORT, USA, during July 28 to August 1, 2018. There are representatives from many countries around the world, more than 70 countries, compete in the competitions. Noted that this is the fifth times we attended to this competitions. This year, RMUTT has been supported four students to compete in the world competitions consisted of Mr. Natthapong Tuermarai (second year student studying in faculty of industrial education) who will compete in Microsoft PowerPoint 2013’s competition, Mr. Apinan Khemsamrit (third year student studying in faculty of business administration) who will compete in Microsoft PowerPoint 2016’s competition, Ms. Ratchadaporn Aorndeekhul and Mr. Kiritarn Sirived (third and second year students respectively studying in faculty of communication and technology) who will compete in Adobe Certified Associate’s competition. 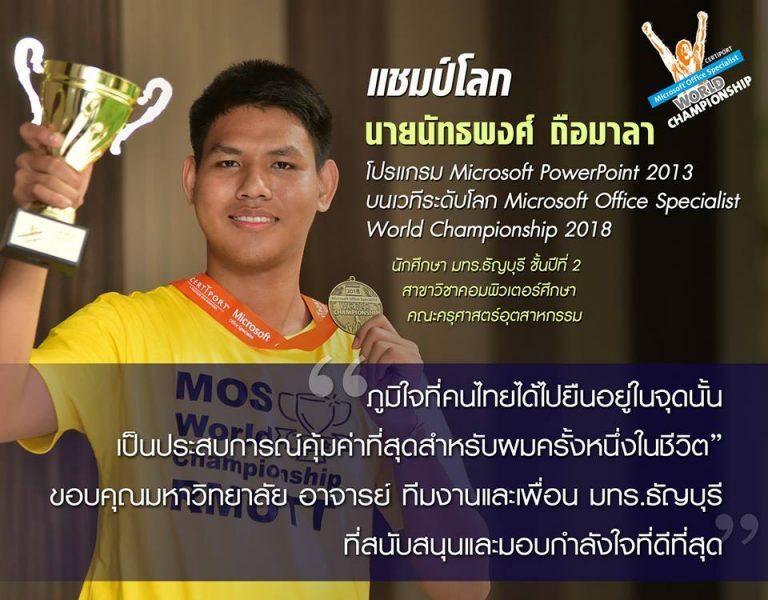 At the end, it has been announced that Mr. Natthapong Tuermarai has the highest scores on his competition and won the first place of world championship award in Microsoft PowerPoint 2013. 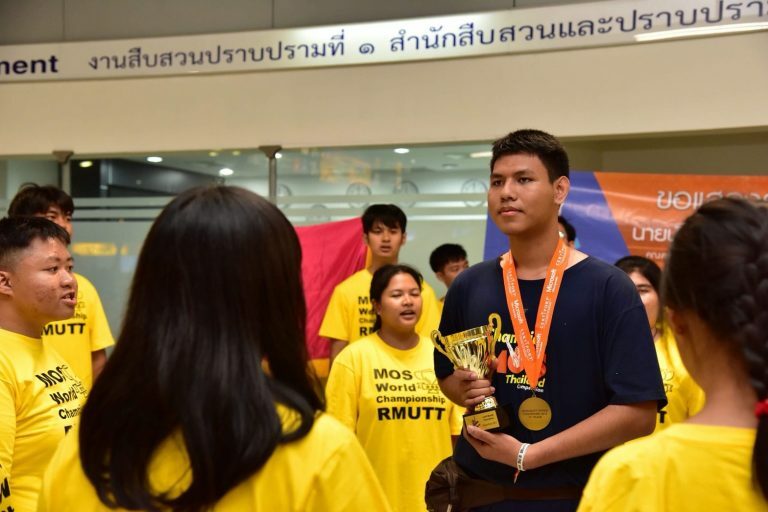 It was an outstanding story that Thai student create and earn world reputation and bring pride for Thai people and university. Furthermore, the other three students also won the world championship awards as well. 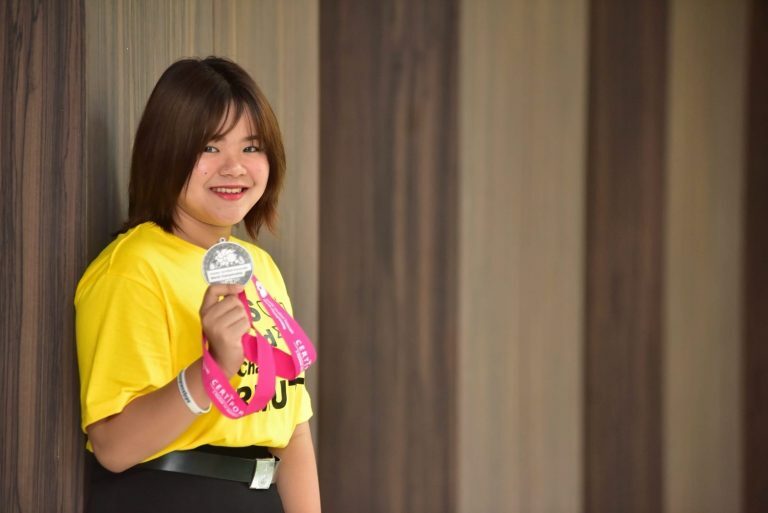 It has been reported that Ms. Ratchadaporn Aorndeekhul has won the second place of world championship award in Adobe Certified Associate, Mr. Apinan Khemsamrit has won the third place of world championship award in Microsoft PowerPoint 2016, and Mr. Kiritarn Sirived has won the fourth place of world championship award in Adobe Certified Associate. 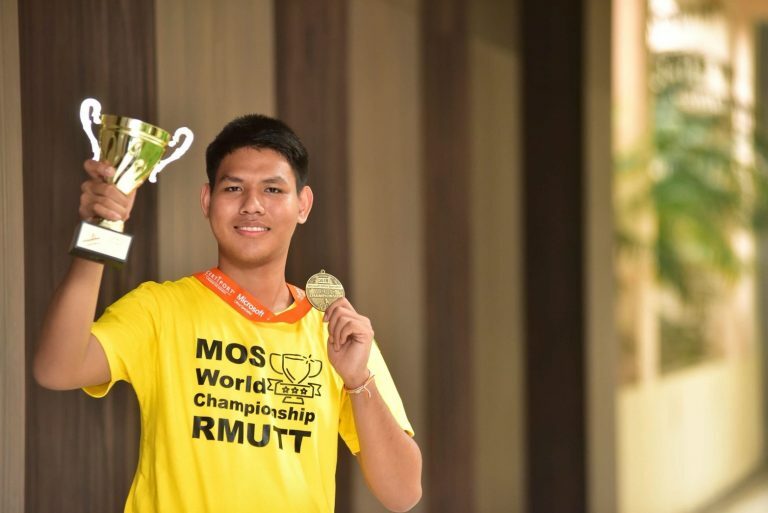 In this year, students of RMUTT have been gathered four world championship awards. Assoc. Prof. Doctor. 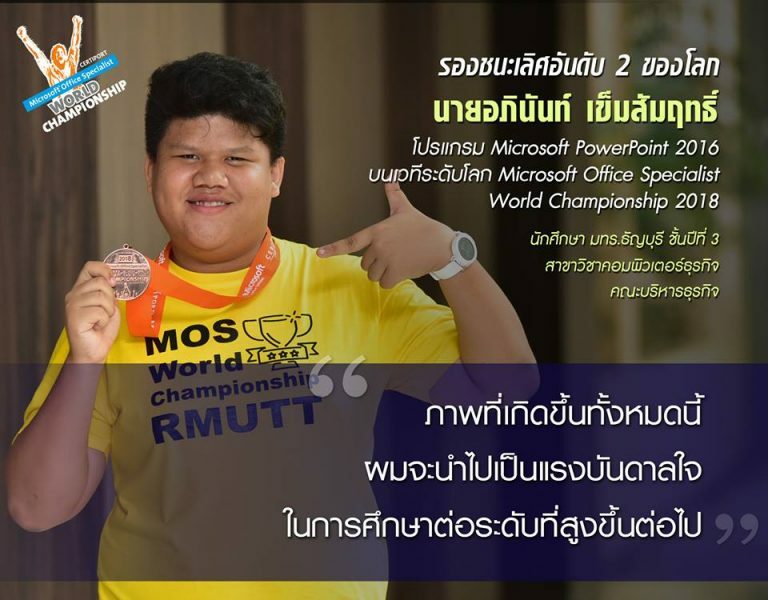 Prasert further revealed that RMUTT student has been won the Microsoft PowerPoint 2013 world championship award before as well. Our university has been intensively and continuously improved on information technology and digital literacy advanced skills for our students all the time. We have been started from embedding those skills into our curriculum and courses. Additional training programs and taking on IC3 Digital Literacy Certification, an international standard computer skill certification, have been embedded for our candidate students. 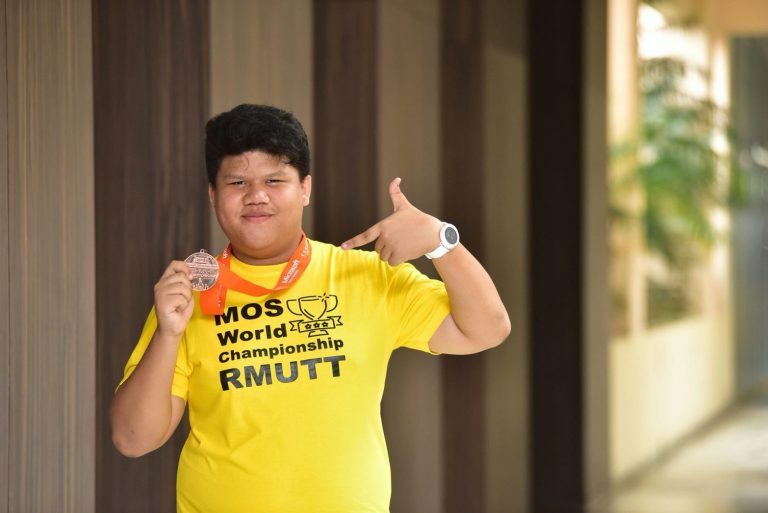 This is the second times that our RMUTT student won the first place of world championship award making a world reputation, amidst happiness and interest from around the world. We qualified our students from many professional fields while top-tier students will get selected and trained with ARIT Company limited. The training period will take around two months for selecting finalized candidate students to compete in domestic and international competitions later on. Within the last three years, our university has been produced student who won first place in world championship award for two students. 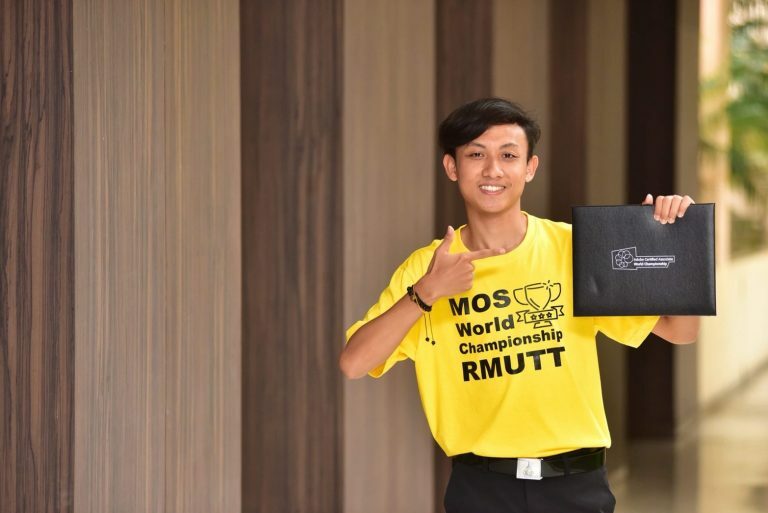 Furthermore, other three students of RMUTT also recorded in top five world championship award as well. “The learning and teaching styles of RMUTT have been updated and adjusted to be more modern. In explicit, we prepared our students by embedding science and innovation theoretically and practically which related to reality, up-to-date world, and the future. According to government policy, it also related to current social and economy where we have been used communication technology or called “Digital Economy”. 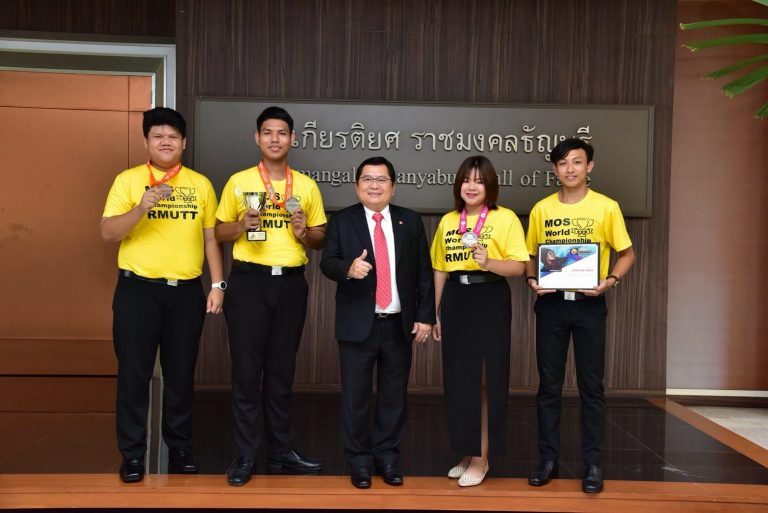 Winning world championship awards were not only bring pride to the university, but it also was bringing pride to Thai people. We have been proofed that we are as good in information technology as others.” Said by Assoc. Prof. Doctor. Prasert. Mr. Natthapong Tuermarai who won the first place in world championship award in Microsoft PowerPoint 2013 shared that he has to create one masterpiece on six slides within 50 minutes while configuring data and parameters based on condition provided. He also mentioned that he takes every minute matters and finishes almost the last person, 26 countries submitted students for this competition. The topic this year was quite complicated and sophisticated. It required us to include animations while putting effects on text and insert picture on slide. Once they announced that I won the first place I was so very excited. It has been a great moment that I could bring pride and reputation for our country. I also would like to congratulate to my three colleges as well. Last but not least, I would like to thank to our university that give us opportunity to compete in world competition, and ARIT Company limited that train and prepare us. Finally, I would like to thank to our management team, professors, and friends who follow and cheer us from the beginning until the end.